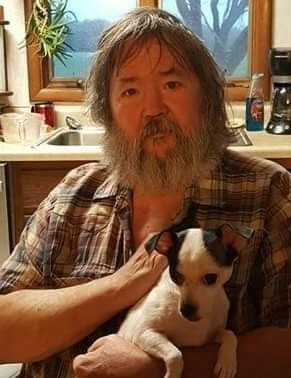 EDINBURG, IL—Craig Archer, 63, of Edinburg, passed away on Thursday, November 1, 2018 at St. John’s Hospital. Craig was born on July 8, 1955, in Springfield, the son of Wayne and Roberta (Smith) Archer. He was a 1973 graduate of Rochester High School and attended Lincoln Land Community College. He had a varied career, as a farmer, truck driver and owner of Antiques Etc, an antiques business he started with his mother, Roberta. He enjoyed buying and selling farm toys and attending auctions. Craig loved spending time with his daughters and grandkids, and he was a faithful caregiver for his parents. He was preceded in death by his mother, Roberta. He is survived by his father, Wayne Archer; sis­ter, Charlyn (Brad) Ware; daughters, Tosha, Ashley and Amber Archer; step daughter, Robin (Brian) Coffey; stepson Jeff (Diana) Rogers, their mother Marlene Archer; granddaughters, Ariah Daniels, Keviah Dixon, Corbin Hughes, Brandon and Macie Coffey; niece Kate (David) Cryder; and nephew, Jayden Ware. Visitation will be held Wilson Park Funeral Home, 200 East Main St. in Rochester Illinois from 9:00am until the time of the Memorial Service at 10:00a.m.on Tuesday, November 6. Memorials can be made to the Edinburg Rescue Squad. Wilson Park Funeral Home in Rochester Illinois is in charge of arrangements.